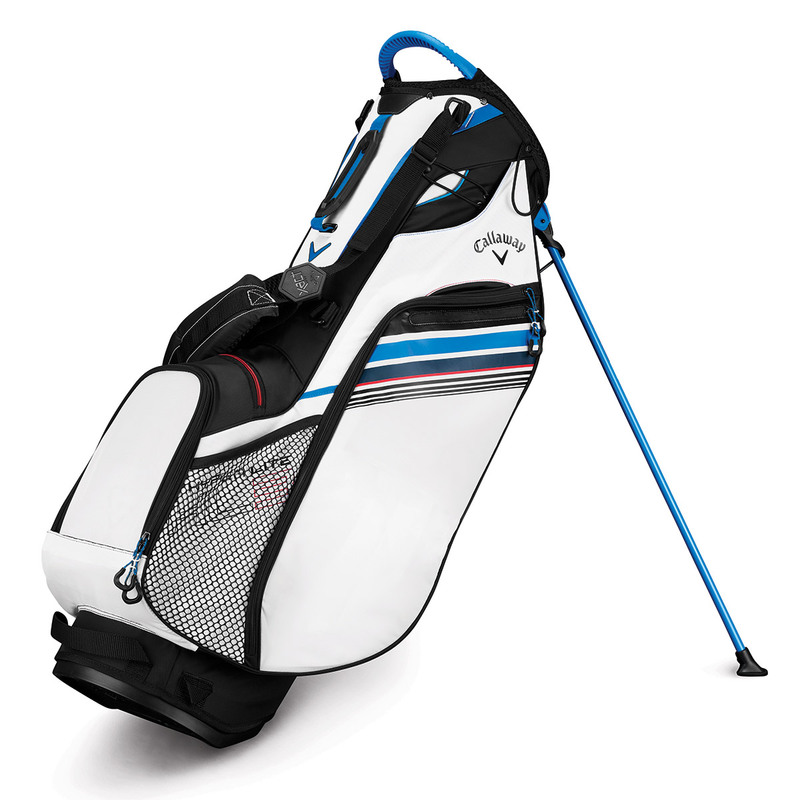 The improved 2019 Hyper-Lite 3 golf bag offers a blend of performance, with lightweight material and a self-balancing X-Act Fit strap with soft padding, for an extremely comfortable carry. 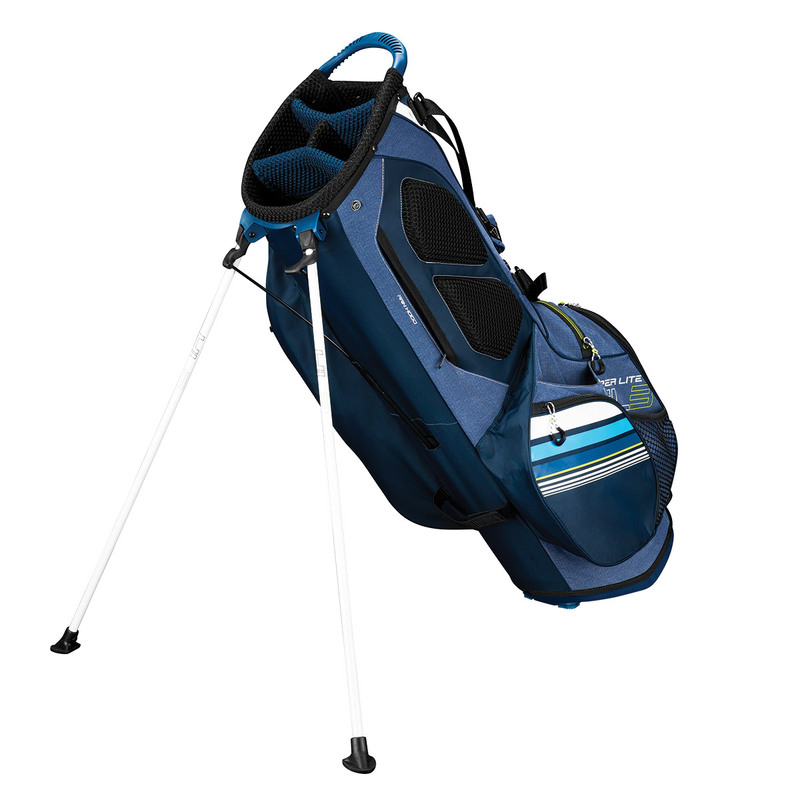 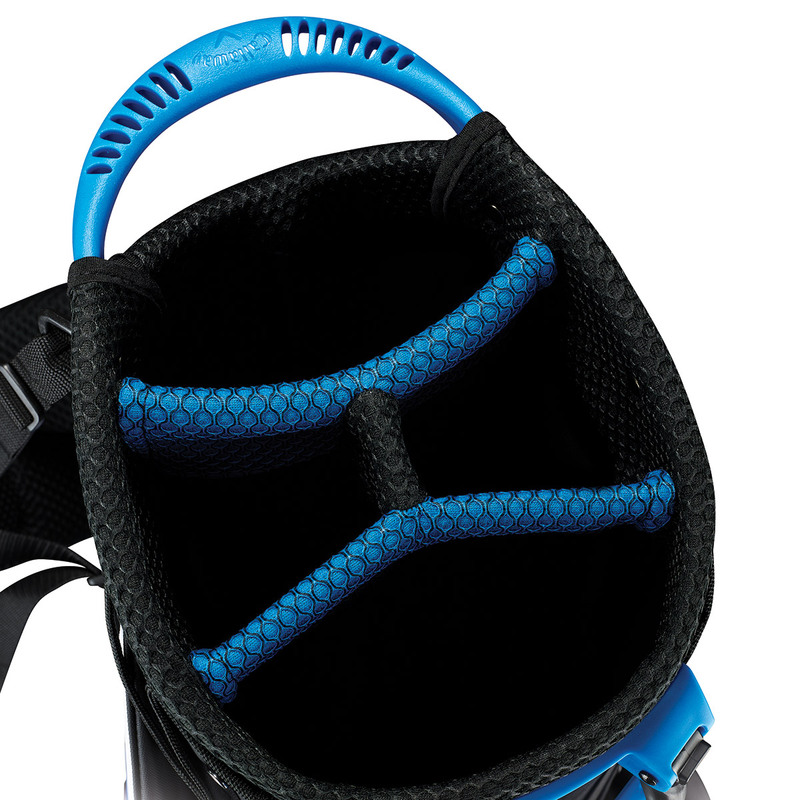 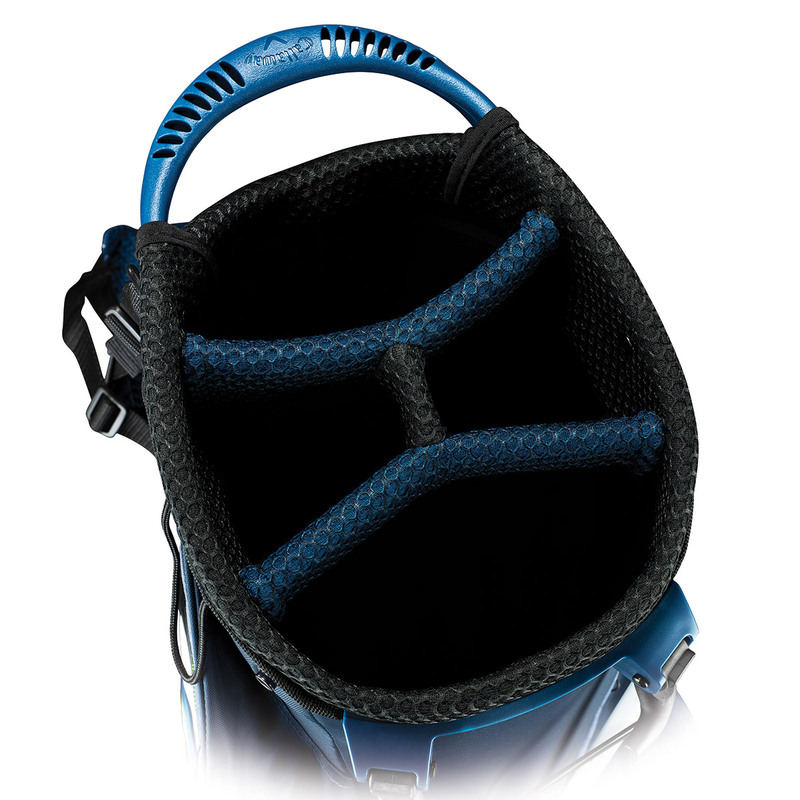 The 4-way top cuff provides club management, with a top lift handle and numerous multi-functional pockets, offering 17% more volumetric space than the previous model bag. 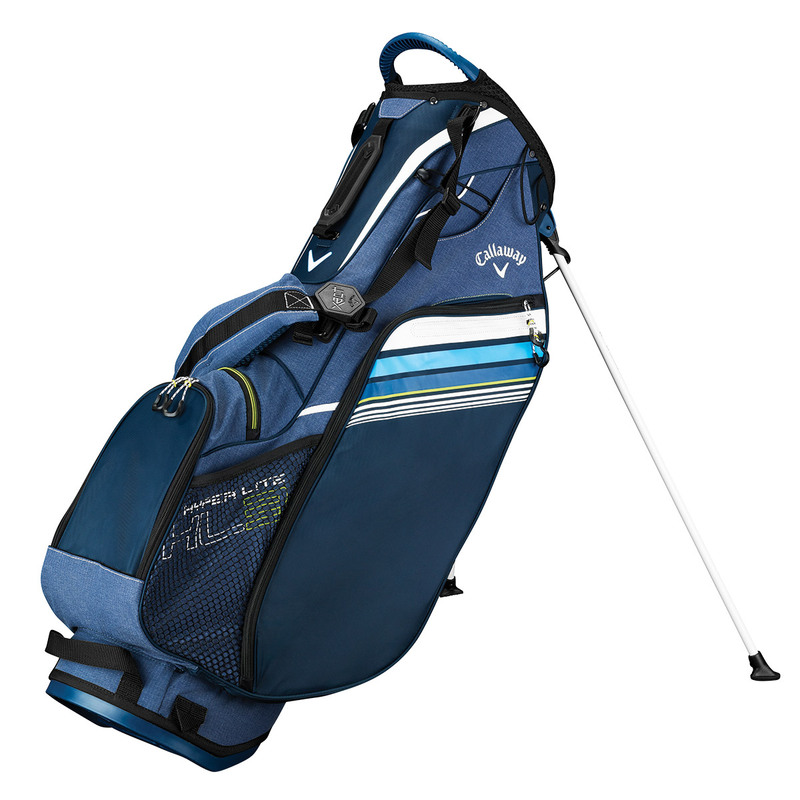 This includes a velour-lined valuables pocket, cell phone sleeve, insulated water bottle pocket, and a custom logo ready ball pocket. 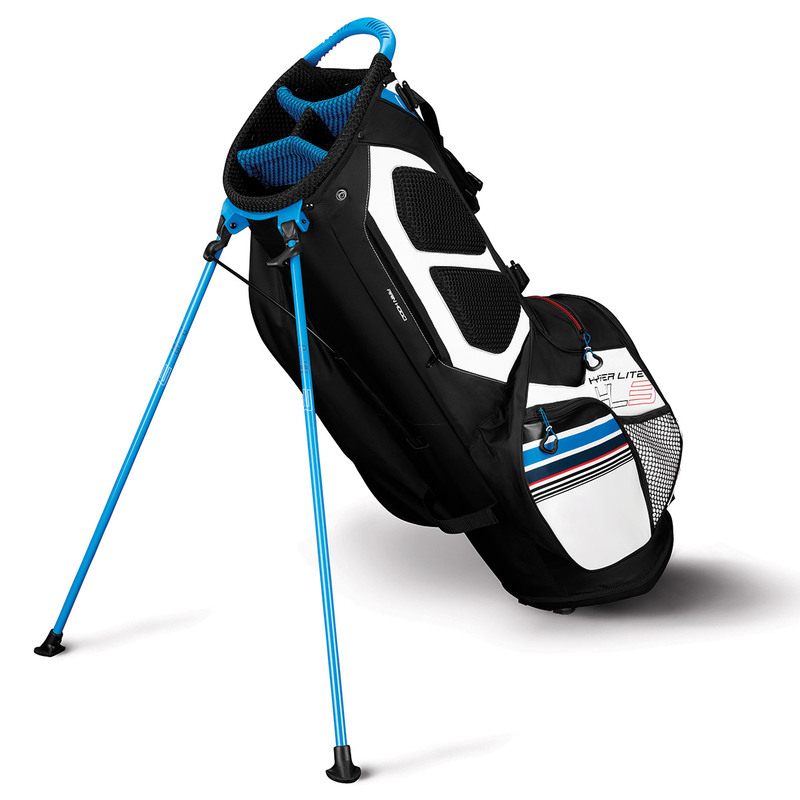 Other features include an umbrella sleeve, auto-stand functionality, alignment stick sleeve, and a hidden rain hood pocket behind the hip pad.